Outside view is good. Facilities are good. They have one more quilt for relatively cold night. Food is delicious. Very clean. Surroundings are beautiful. Staffs can speak fluent English. They will introduce the room info. everything. vichy is special one. she did splendid job.arrange tour for us. The host was friendly. They helped us with getting taxi’s and telling us more about the surroundings. The area was quiet, so not a lot of noise ( except for a building being built next door). Nice views from the room. Large shower with good water pressure. Room was kept clean as well! Because it is small, no noise from other guests. Very friendly service! The staff provided us with all the information we needed. The house and the views were lovely. And the bed was very comfortable. The breakfast was delicious. Would highly recommend this villa. We liked our stay at Orchid villa because it is a brand new very well equipped and clean boutique hotel, but the real brilliant of this property is its host Jenny ! She made our visit in Dalat unforgettable ! She paid attention to each small details, helped us to plan each day to maximize out visit of this nice city and worried about if we were late in the evening. We are really missed you Jenny! The new bed and breakfast was very clean and the bed was very comfortable. The staff and front desk host was very friendly. We talked to them a long time about their family and learned a bit more about the facility and Da Lat. Would recommend this B&B highly. 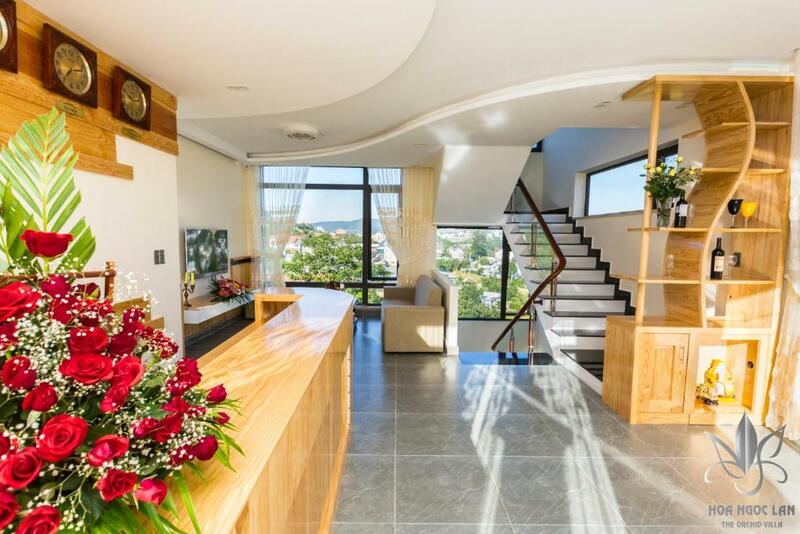 Lock in a great price for The Orchid Villa Dalat – rated 9.2 by recent guests! One of our top picks in Da Lat.Ngoc Lan Villa Dalat offers accommodations in Da Lat. Offering free WiFi access, all rooms features a flat-screen TV with cable channels. Private bathroom comes with shower facility. Instant coffee and tea are offered free of charge. 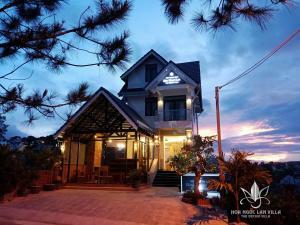 Ngoc Lan Villa Dalat features 24-hour security and daily housekeeping. Lien Khuong Airport is 13 mi from the property. When would you like to stay at The Orchid Villa Dalat? 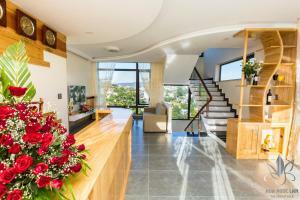 Featuring views of the mountain and city, room has soundproofing, an electric kettle and a flat-screen TV. 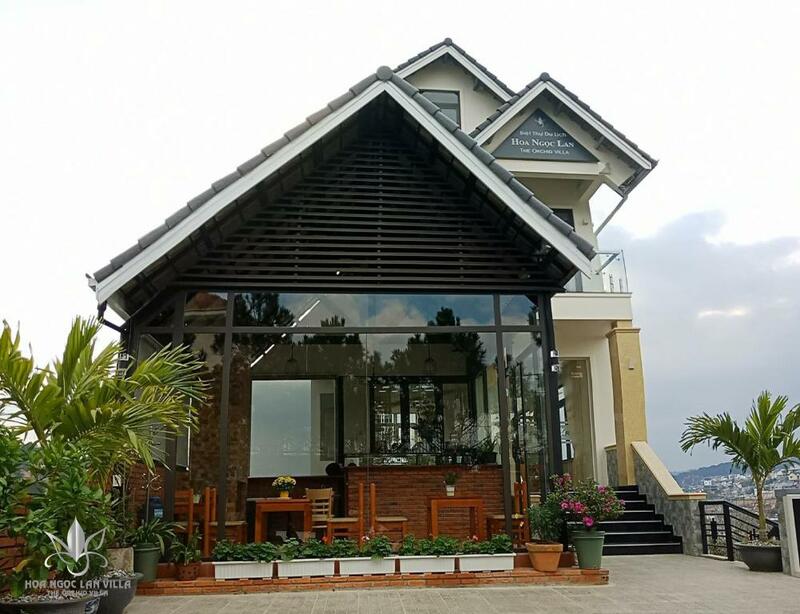 Located on the lovely area of Dalat city, the Orchid Villa is the ideal point of departure for your excursions in this city of love and flower. Only 21 km away, this boutique villa can be easily accessed from the airport and 1 km away from city bus station. 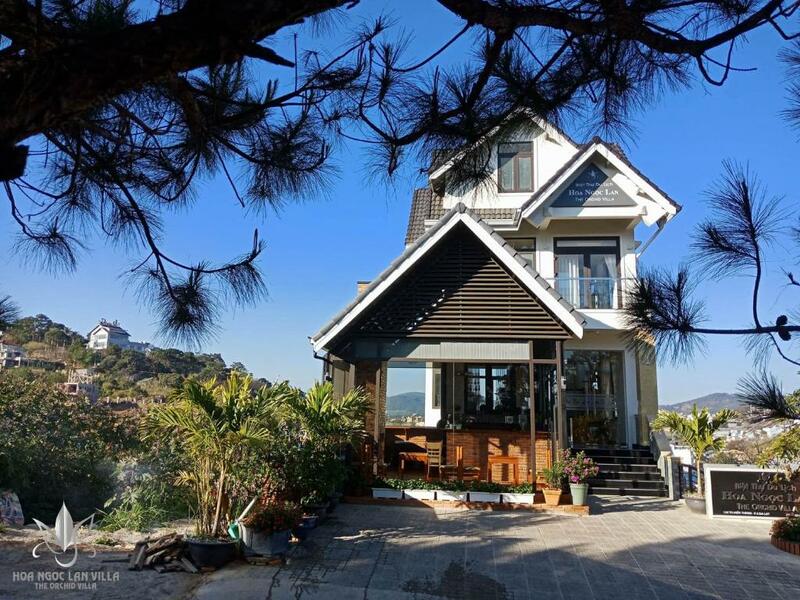 With the city's main attractions such as Truc Lam pagoda, Cable car station, Tuyen Lam lake, Datala waterfall, Dalat city flower garden, Dalat Cathedral,...within close reach as well as overlooking the city and mountains , visitors to the villa will just love its location. At the Orchid villa, every effort is made to make guests feel comfortable. To do so, the villa provides the best in services and amenities. The ambiance of the Orchid villa is reflected in every guestroom. Throughout the day you can enjoy the relaxing and quite atmosphere . 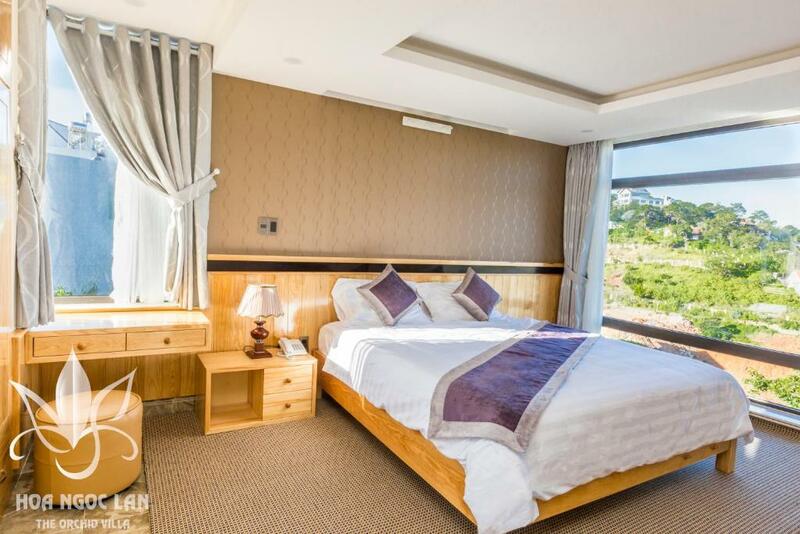 The Orchid villa is your one-stop destination for quality villa in Dalat. The hotel features 5 beautifully appointed guest rooms. Besides, the villa's host of recreational offerings ensures you have plenty to do during your stay. 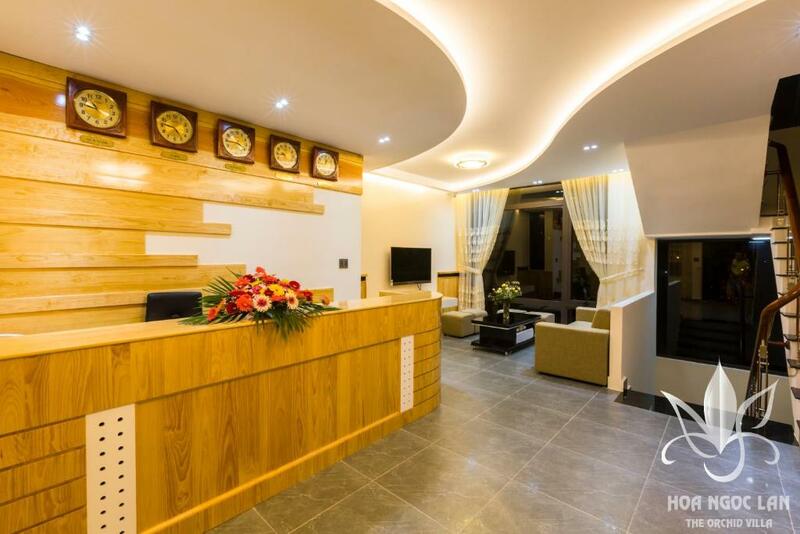 The Orchid villa is an ideal place of stay for travelers seeking charm, comfort and convenience in Dalat city. 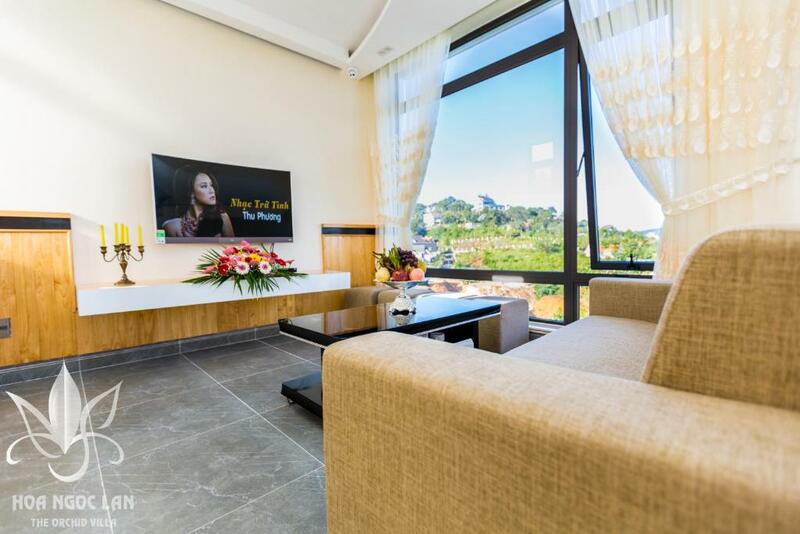 House Rules The Orchid Villa Dalat takes special requests – add in the next step! One child under 12 years is charged VND 233423.27 per night when using existing beds. The Orchid Villa Dalat accepts these cards and reserves the right to temporarily hold an amount prior to arrival. 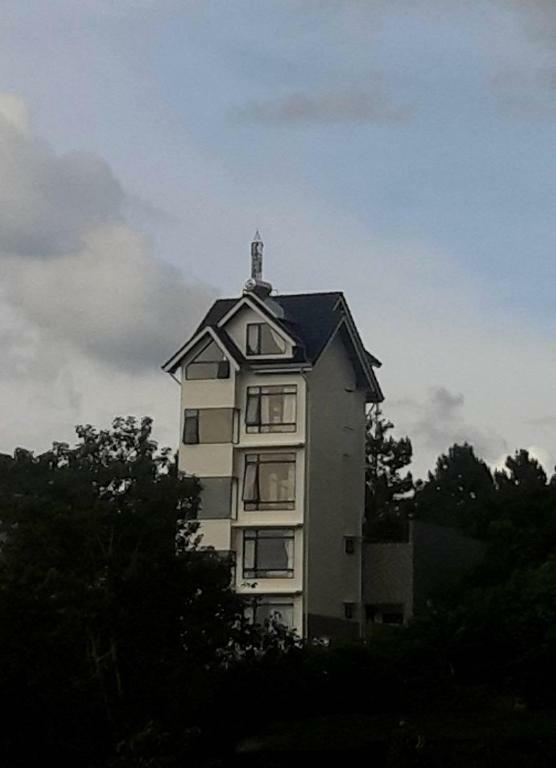 Please inform The Orchid Villa Dalat of your expected arrival time in advance. You can use the Special Requests box when booking, or contact the property directly using the contact details in your confirmation. It was a little hard to find first time, Google maps had an inaccurate gps position for the hotel, no problem after we sorted that out. Not really a style of room suited to any more than a single or couple. We loved the warm friendly staff, great facilities, great breakfast food and ample mini bar. The staff kindly helped book cabs and clothes wash, also helped secure discount shuttle back to the airport at the end of our stay. Lovely staff very helpful nice room. Breakfast was good, location good, service good. Nice cozy little place with good view from the terrace ! Jenny was very helpful. A quiet hotel on the hill overlooking Dalat. The staff were super helpful and provided great information for our sightseeing. Highly suggest to have dinner in Orchid Villa or ride to city centre to find restaurants. Few restaurants nearby. And they offered different menus for the foreigners. Be prepared to be over-charged. The staffs are very nice and hospitable. The hotel was very fine however the location was a long way from the center. The staff was really nice and helpfull. The rooms were big and bright.